J. Cole is having a really good day. It&apos;s his 29th birthday, tonight he plays Madison Square Garden in New York, and his imprint, Dreamville, has just signed a partnership deal with Interscope. 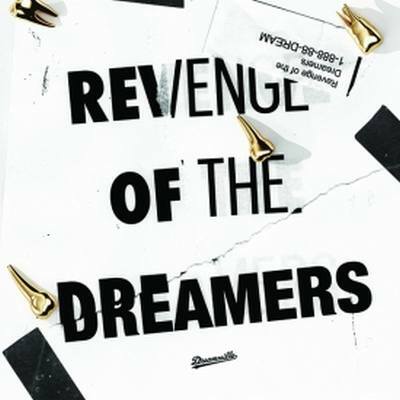 To celebrate, he&apos;s also got a new mixtape, Revenge of the Dreamers, featuring the full Dreamville roster. Bas, the Queens via Paris rapper whose mixtape Quarter Water Raised Me 2 dropped last year, is the first official signee under the Interscope imprint. The label released both of Cole&apos;s albums, 2011&apos;s Cole World: The Sideline Story and last year&apos;s Born Sinner, and the Dreamville team has also overseen Cole&apos;s creative direction on projects like the Dollar and A Dream tour. "Dreamville celebrates the sort of grass roots, out-of-the-box approach to connecting artists to their fans that can help move the music industry into the future," Joie Manda, Interscope&apos;s president of urban music, said in a statement. "We are very pleased to welcome Dreamville into the Interscope family,"